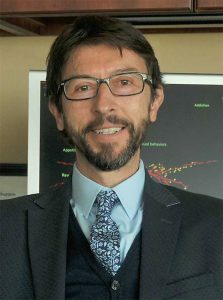 NIDA IRP - Antonello Bonci, M.D. Chronic exposure to drugs of abuse causes several cellular and behavioral adaptations such as tolerance, dependence, and sensitization. The main goal of my laboratory is to understand the synaptic properties of neurons in brain areas relevant to drug addiction such as the ventral tegmental area (VTA), the nucleus accumbens (NAcc), and the prefrontal cortex (PFC). My laboratory was the first to demonstrate that drugs of abuse such as cocaine produce a form of synaptic plasticity called long-term potentiation (LTP). The aim of my research is to apply electrophysiological, optogenetic, molecular, and behavioral approaches to elucidate the long-term effects that are produced by chronic administration of drugs of abuse such as cocaine and alcohol. Understanding the basic mechanisms at the synaptic level that underlie the long-term effects of these drugs will likely open new avenues for therapeutic strategies against the many symptoms of substance use disorders. Furthermore, we have recently opened a new line of research to develop an optogenetic-based treatment against cocaine addiction, by using rTMS. In collaboration with clinicians all over the world, we are running clinical trials in cocaine addicted patients, and we are working toward elucidating the cellular mechanism underlying the effects of rTMS in the limbic system. Home / Staff Members / Antonello Bonci , M.D.